Are you thinking of getting an OBD2 code scanner to read the trouble codes from your car at home? Buying an OBD2 scanner can be difficult, because of all the hundreds of different scanners out there. We have done the hard work for you and made a top 16 list of the scanners that we like the most. The scanners that you will find in this list are both for professional workshops and home users. Just check the notes and the reviews, and I’m sure that you will find an obd2 scanner after your needs. I work as an automotive diagnostic technician, and the first thing I do when I’m troubleshooting a car is connecting an OBD2 scanner to the vehicle. This way is the fastest way to troubleshoot your vehicle, and you will get the right answer about where to start your troubleshooting. 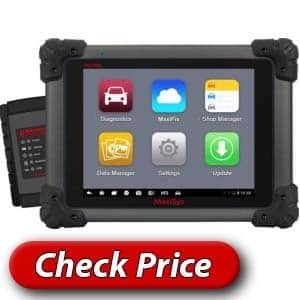 In this list, you will find the best OBD2 scanners to buy on the market in 2019. 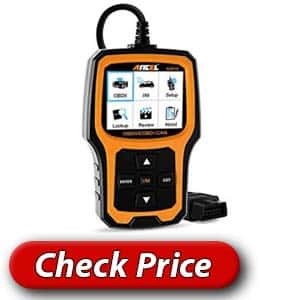 You will find both cheaper ones and professional automotive diagnostic scanners. If you want to learn a bit more before buying an OBD2 scanner, check our Buyer’s Guide and information section. 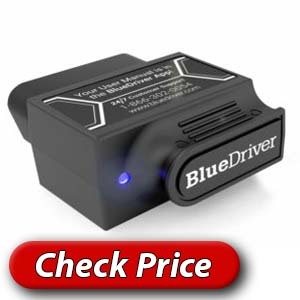 If you want a professional diagnostic scanner, but do not want to spend thousands of dollars, the BlueDriver is a great choice in my opinion. As you may understand from the price, it’s not comparable with the other professional scanners, but do not judge it from the price! 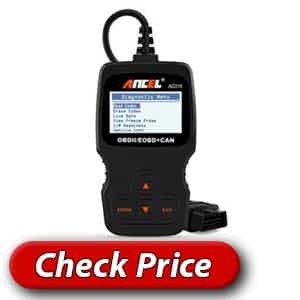 The most cheaper scanners can only read the generic trouble code memory from the engine control unit, and if you are going to read the SRS, ABS and other control units, you have to check for a more expensive scanner. But not in this case. The BlueDriver can scan the most different control units for the most known car models. The reason for the low price for such a great scanner is probably because in this case, you will not get a large diagnostic unit. You will get an adaptor to connect in the OBD connector, and you can then connect it to your phone via Bluetooth. Because of this, it creates the opportunity that you do not have to pay for the whole unit. The Bluedriver App which you can install on your phone is easy to use, and if you need support, you will get it. The support is open 24/7 which is great. 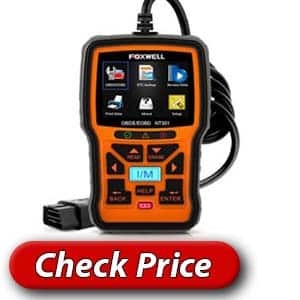 The database of repair information is also really great, and if you are looking for a cheaper scanner that has the most functions as the other more expensive scanners, this should be your choice. It does not have the advanced programming functions like the more expensive scanners. The Autel MaxiCOM MK808 is a perfect choice if you have a small workshop and are looking for a real high performing diagnostic tool for automotive car workshops. It’s probably over the budget of the most home users, and it may be a better choice for a small workshop. 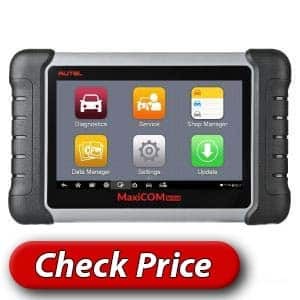 It has a lot of functions that the MaxiSys Pro diagnostic scanner have, for 1/4 of the price. If you are do not want to spend the money on a MaxiSys scanner, but still want a high functional scanner that has the most required functions, the MaxiCom should be your choice. The Autel MaxiCom MK808 can read the most different control units in the most car brands on the market, and you will have the most required coding & programming functions like service light reset, electric parking brake reset, key programming and much more. You will get a 12-month warranty and 12-month free software updates from Autel. It has a 7″ LED touchscreen with an easy-to-use interface with a performance A9 processor with Android OS. The Innova 3160g is a great scanner for the most vehicles on the market. It’s not the cheapest scanner, but it will do what it promises. This OBD2 scanner tool is compatible with lots of different cars of different make and model including trucks, vans and even SUVs, as long as they are manufacturers after the year 1996(When OBD2 got introduced). With this scanner, you can scan the most control units on the most cars like SRS(Airbag), Transmission and ABS control units. The most other generic scanners can only read the engine control module. Innova is known to make quality multi-meters and other electronic advanced troubleshooting devices, which confirms that this is a great scanner. This device comes with a 3.5 inches display. You can update this scanner via the internet and it is Bluetooth compatible. This device may not have all the high-end features present in the other devices but for its price, it nonetheless performs well enough and provides the basic functionally to diagnose a car at a fundamental level. People with a tight budget can own this device and make great use of it. This Autel MD808 is a mid-priced scanner between the other Autel scanners MK808 and the AL159. It’s a direct competitor to the Innova scanner mentioned before because of the functions of reading all kinds of control units and the features. This Autel reader uses the same trouble code library and software as the more expensive Autel scanners, which makes it very good for a low cost. You can read and erase both generic engine trouble codes and other control units like the Airbag, Transmission and ABS control unit. In the software, you will find a lot of more advanced functions like an electric parking brake reset, steering angle calibration and the ability to check all different parameters from different control modules. The device is both grease and water-proof, which is really good if you are going to use it much at the same time as you are doing any work to your vehicle. You will get lifetime free software updates which are worth a lot. The software comes with a lot of different languages. 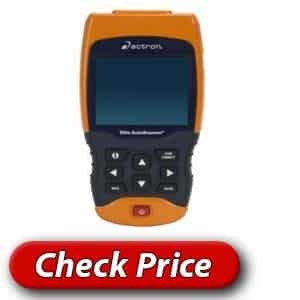 The Actron CP9690 is another mid-priced scanner in our list, but a bit cheaper than the two scanners mentioned above. With this scanner, you will get the most functions you need for an OBD2 scanner and you will get a large vehicle coverage(Always check that it’s compatible with your car before). What makes this scanner different from the other scanners in this list, is the function to read both OBD1 and OBD2 codes with just one scanner. OBD1 codes are older codes that you could find in GM cars between 1985-1996~. If you want to learn more about OBD1 codes you can check our article: OBD1 codes. OBD2 codes are what is used in the most cars from 1996 and above. This scanner can read both the generic trouble codes and some other Manufacturer trouble codes from control units like SRS and Airbag with more. You will also find functions like oil service light reset and battery monitoring reset. The scanner comes with a large colour screen and an inbuilt trouble code library. With this scanner, you will find the most functions that you need for a good scanner. The Launch X431 is one of the top performance scanners in this list. Why we placed this scanner so far down in the list, is because it may be too expensive for the usual home mechanic that is not using the scanner so much. If you have a workshop or reading and diagnosing a lot of vehicles every day, this may be a scanner to look at before any other choice. This scanner comes with a big LCD High-resolution Screen (7″) which is perfect when you are reading graphs and other parameters that are requiring great resolution. You will get the most functions you need for a small workshop like ECU coding, Service light reset, Anti-theft key matching, electric parking brake reset and much more. The Launch X431 is using an Android 5.1 System and have all the functions you need like camera, carry strap, speakers and much more. The scanner is compatible with more than 110 different car models on the US, European and Asian market. Absolutely a scanner that I could recommend for the one that wants the best. If you are looking for a cheap scanner but want a bit more functions than the BlueDriver scanner and are ready to spend a bit more, you should check out this one. 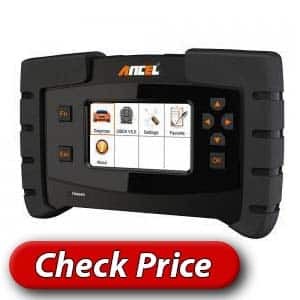 The Ancel FX6000 is pretty similar to the Autek IFIX919 diagnostic scanner, but it has some more functions and a better programming ability if you are looking for those functions. This scanner is an excellent scanner for a low price with the most required features for a small workshop. This diagnostic scanner can read the most required control units like an engine, ABS, airbag, transmission control units and much more. The benefit of this scanner is that it has a lot of coding & programming functions, which is perfect for smaller workshops that need to code their vehicles. With this scanner, you will get a 2-year free software update via their website. This scanner works with the most car brands from 1992 to 2017 car models. This tool is a bit cheaper than the tools mentioned before, and that usually does have a reason. 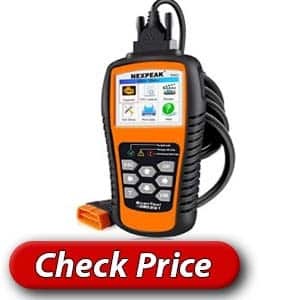 The Nexpeak NX501 is a universal generic DTC code reader, which means it can read generic, manufacturer and pending trouble codes from the engine control unit. This scanner has all the functions that a universal code scanner should have. The Software is beautiful & easy to use — a Perfect tool for any diagnostics of the engine control unit. Price-worth. The downside of this tool is that it can only read the generic trouble codes like some other cheaper OBD2 scanners. The Launch CRP Touch pro is a diagnostic scanner with the most required functions that you need. It covers up 76 different control unit systems on 46 different car makes on American, European and Asian vehicles. You can read the most control units as the Engine, Airbag, ABS and other required control units. It does also have the most imperative programming and reset functions like electric parking brake reset, service oil light reset and diesel particle filter regenerations. It is an Android 4.3 based system equipped with wifi for printing and updates. You will get a 12-month warranty and 12-month free software update guarantee. 46 different car model coverage like Jeep, Dodge, Toyota, Ford, Nissan and more. Here we have the Ancel AD310. It’s a quite simple DTC tool that will do the job for you if you are only want to read the generic engine DTC codes. It can also read Live data ( Parameters of the engine ). It can also read some manufacturer trouble codes. It has an inbuilt system for information about trouble codes you get from your engine. Do not need a battery, it takes 12v from the OBD connector, and it comes with a 2.5 feet cable. A Fast & Simple tool that I would recommend if you do not need the most advanced functions for your DTC tool. If you like the Ancel AD310 but wants something a bit upgraded, this should be your choice. A new more modern software upgrade and some additional functions. You will get a lifetime FREE software update always to make sure that you have the latest software updates to fix bugs and DTC information updates. In general, it has the same functions as the AD130 but a lot of improvements. Absolutely a price-worth DTC tool if you want to read & erase the engines DTC memory and do not have to check the other control units. Also, this Autel AL519 scanner is a generic trouble code reader, which get the price down a lot. This scanner is absolutely a competitor to the scanners mentioned above. 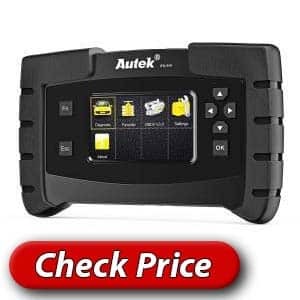 Just from the name Autel, we know that this is a great OBD2 scanner because Autel makes probably the best overall OBD scanners on the market. This is a generic scanner, which means that you can’t read other control units than the engine control unit. If you want to read other control units, you may have to check out the other scanners in this article. The good thing with generic scanners is that they have a really large vehicle coverage as they can read the most vehicles after 1996. 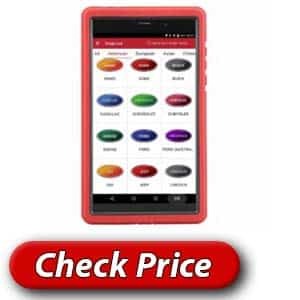 The software of this device is really simple to use and it has an inbuilt DTC library, which explains all trouble codes that you read out of your vehicle and recommend the possible causes and solutions to the given trouble code. This device falls under the same category of Autel and Foxwell mentioned above, and it is a generic trouble code reader. The Launch Creader have the most other functions than other generic trouble code readers, and it is the lowest cost in the product line. There is nothing special about this scanner. You can find better scanners for the money than this reader in my opinion. If you consider getting a generic trouble code reader, I would take a look at the Autel or Foxwell scanners instead. Also here we have a universal OBD2 scanner that read & erase generic engine trouble codes. The Foxwell NT301 has more functions than the Ancel scanners. Much better diagnostic functions if you want to check graphs of the Live data & do also have a record and playback function. It can be beneficial to record the live data while you are driving your car if the problems only occur sometimes. A useful tool with a big plus for the print functions. If you can’t figure the trouble code out, you can print it on a paper and bring it to your mechanic and ask for help. 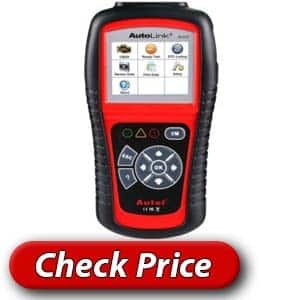 The Autek IFIC919 is an excellent scanner to cover the most control units and the most car models on the market for a perfect price. Combine it with the Autek IFIX919 to include even more vehicles on the market. This OBD2 scanner is a good scanner if you are looking for a budget scanner with a lot of required functions. With this scanner, you can read a lot of different control units like engine, transmission, abs, airbag control units and you have a lot of required functions like TPMS reset, oil service light reset, advanced diagnostic features. With this diagnostic scanner, you will get lifetime free software updates from the manufacturer. This scanner covers the most car models from 1996-2016 and it works well with American, European and Asian car models. In the last place on this list, you will find the Autel MaxiSys Pro MS908 scanner. But the last place in the list is not because the scanner is terrible. This scanner is the best scanner you can find in this list. Why I placed this scanner at the bottom of the list is mostly because the most average car owner does not want to spend that amount of money on an OBD2 scanner. This scanner is the perfect scanner for small to mid-sized workshops that want a scanner with all the functions they need and the ability to read the most cars on the market. I do work as a mechanic myself and have used this scanner for some years for now, and it does never disappoint me. I have tried scanners that are costing 10x more than this and I can not say that they are that much better than this. A lot of coding and basic settings that those scanners can’t do is comfortable with this scanner. Here are some of the functions that this scanner provides. I can’t really write all the functions that this code scanner has in the main functions list, because the list would be too long. The screen is a 9.7″ HD LCD Touchscreen and the software is really simple to use. The scanner comes with the most common required different OBD connectors. If you have a workshop and are searching for a scanner – This one is for you. Choosing the right OBD2 scanner for your needs is not always that simple. There are hundreds of different scanners out there on the market to determine. 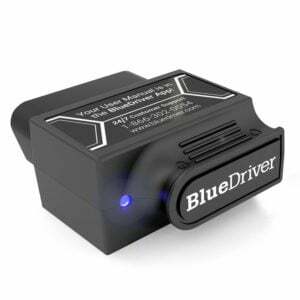 We wrote a small buyer’s guide of how to select the right OBD scanner for your needs. We will go through things to consider before the purchase and some frequently asked questions about OBD2 scanners. There are a lot of different things to look for when you are going to buy an OBD2 scanner. The process can be quite confusing but do not worry, and You will find all the information you need here. Different OBD2 scanners are compatible with varying models of car. The most Generic trouble code scanners can read the most vehicles after 1996 because they are using the same trouble code system. But if you want to read other control units like Airbag, ABS, and transmission or others, you need to make sure the scanner is compatible with your vehicle. You can often find this information if you go to the links to the products and you will see the vehicle coverage list at the bottom at Amazon. Make sure that you find your vehicle there. You can also double check this by sending a mail to the seller and ask if it’s compatible with your car. You have to ask yourself, which functions you need for the scanner. Are you going to do any codings or other basic settings, you may have to choose a more expensive OBD2 scanner. 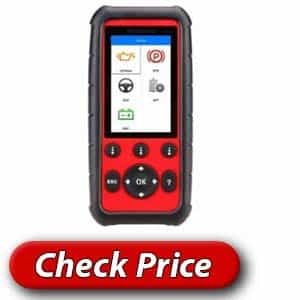 If you are only going to read the trouble codes of the engine control modules and nothing more, then a cheaper generic trouble code scanner would fit you better. You can find the most functions of the scanners in the list above, but if you want to see the full list, I recommend you to go to the Amazon link and check the full description there. Checking for how long you will get free updates of the scanner is essential. Because what happens if you buy a new car and the scanner is not updated to that car model, so you have to buy a new scanner to read it? There are coming hundreds of new car models every year, and the code scanner manufacturers usually do update the software in the scanner to make your scanner compatible with the new models also. Some scanner manufacturers do also have a limited time of free updates, and it may cost you a bit to update it after that time. My recommendation is to choose a scanner with lifetime free updates. Always check the warranty time of the scanner before you purchase it. There can cause problems with the scanner directly from the manufactures, and you do want to have the ability to send it back and get a new one. It’s also good to have if you do not like the product and want to send it back. You will find the warranty time at the manufacturer’s homepage or Amazon if you enter the links to the product. Why should you buy an OBD2 scanner? There are a lot of reasons why you should buy an OBD2 scanner in my opinion. The most important is that you will save money in the long run. Visiting a mechanic is both time consuming and money consuming problem. A mechanic usually does charge you 10-100$ to just read the trouble codes from your vehicle. Add all these mechanic visits and then count on how much a trouble code scanner costs. You will realize that you will probably earn that money back pretty fast. It’s straightforward to read the trouble codes, and if you need further help, you can bring the trouble codes to your mechanic, and you may get some free recommendations of what parts to replace or how to fix the problem. In my opinion, buying an OBD2 scanner is a perfect investment that every car owner should do. Why do I need an OBD2 scanner tool? Modern cars are becoming more and more advanced and hard to troubleshoot. What is good with modern cars is that the control units are brilliant, they are doing the troubleshooting for you. If there is not a parameter that is correct, it results in a trouble code. With a DTC tool, you can get that trouble code and find out where you should begin your troubleshooting. It can save you a lot of money from starting to troubleshoot at the wrong end. Which OBD2 scanner should I choose? It depends a lot on what car you have and what your needs are. If you only need a scanner that can read the generic DTC memory, you can almost choose which OBD2 scanner you want if you have to read other control units like the transmission, abs, and airbag control unit, for example. If you’re going to search for different systems than the generic engine memory, you have to get a scanner that can search in those systems for your car model. Many car manufacturers have specific manufacturer trouble codes that you only can read with good OBD2 scanners. If you want a scan tool that can search in several control units and read the manufacturer DTC codes, you have to read the specific descriptions of the scanners to find out if it’s compatible with your car model. Can all of them read all control units? No, as I wrote before. The most cheaper scanner tools can only read the generic trouble code memory. 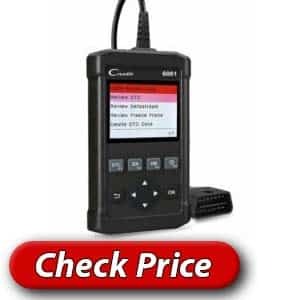 If you want to read other control units and manufacturer trouble codes, you have to consider buying a more expensive scanner which is compatible with your car model and engine. Where is my OBD2 connector located? Which scanner is the best OBD2 scanner for the money? All of these OBD2 scanners are good scanners for the money. Our favorite is the scanner if you are looking for a budget scanner, is the NexPeak. Choose the BlueDriver scanner if you want more functions. I got a trouble code, where can I find information about what it means? The first letter in the code will tell us what kind of trouble code it is. The next first digits are telling us if the trouble code is a generic or a manufacturer specific 1=Manufacturer and 0=Generic. If you want to find out more what the trouble codes are telling us you can check out our DTC code list. You can also use our search function for recent questions about trouble codes. CAN-bus is the communication between all the control units and often the connection to the OBD2 scanner. It can also use other communication types like LIN-bus. A common fault is when one CAN-bus line gets an error, and it kills the whole connection. That is why there is a common problem that you will not get any communication with several control units if one break. Do I need any other tools to read the DTC memory? I have a workshop and need an excellent OBD2 Tool, which one should I choose? It all depends on your budget and what car you want to diagnose. In my opinion, it’s a good investment to invest in an excellent OBD2 scanner as it may save a lot of hours in troubleshooting costs. If you want a quite cheap tool that works well for most cars on the market, check out the Maxisys. Can I damage my vehicle with an OBD2 scan tool? Yes, you can. But as the most scanner tools on the market are very safe. If you choose one of the tools from this site and always connect a car battery charger while doing any work on your vehicle, you do not have to worry. The most common problem is using a tool and does adaptions with low voltage, which can damage control units if you are very unlucky. How do I connect my OBD2 scanner? 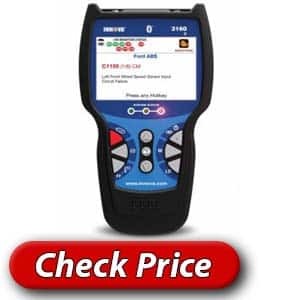 Can I save money with an OBD2 scanner tool? You will save the money you spent very fast. A mechanic workshop takes a lot of money to search the DTC memory for you. In many cases, you can do it yourself with a cheap DTC tool. Remember that the mechanics DTC tools are often a lot more expensive and can see faults that the more affordable tools can’t. But for small tasks, you can save a lot of money. I also notice that very often people guess and replace part after part of their car before they’ve checked the DTC memory. Always check the memory first and you could save a lot of money. There are cheaper diagnostic scanners out there. Should I buy a cheap one? The cheaper OBD2 scanners can often only read the engine control module and the generic trouble codes. These scanners may not be enough for the most workshops, and you should look for a bit more expensive and advanced diagnostic scanner. If you still want a cheaper diagnostic scanner, you can check out our other review for more inexpensive scanners: OBD2 scanners. These scanners do often not have programming and basic settings functions like the diagnostic scanners in this review. Do I have to buy any additional parts for these diagnostic scanners? It depends on what functions you need. For some of these scanners, you can buy additional functions like TPMS programming and other programming and diagnostic functions. Check what functions you need for your diagnostic scanner and buy the equipment after that. As I said before, these scanners have the most required functions for small workshops, and in many cases, you do not need the additional features. Does it cost to update these scanners? These scanners come with free updates after purchase. Check the product description and manual to learn how to upgrade your scanner and make sure it has the latest software installed for the best scans and diagnostic functions. Some of these scanners have automatic scheduled updates, and you have to use the WiFi to make it update automatically. Is these prices a One-time fee, or do I have to pay monthly also? These diagnostic scanners have a one-time fee, and you do not have to pay monthly payments to keep them updated. Check the product description on the product for the right information about the updates. This is the thing what makes these scanners good, and several other professional diagnostic scanners have an expensive monthly fee to get them updated to the latest software after purchase. I have a small workshop, and looking for an overall usage scanner, but which scanner should I choose? If you have a tiny workshop and not a lot of money to spend, I should choose the MaxiCom MK808 diagnostic scanner. It’s a very cheap diagnostic scanner for the most required functions for a small workshop and it can read the most car models. If you already have an established seminar and are looking for a more advanced one, I would choose the MaxiSys MS908P. The price of that scanner is four times higher than the MaxiCom, but you will also get a lot more required functions, and it can scan and program more car models. It can be pretty tricky to choose the right scanner, but I’m sure that if you have read the whole article, you would be pretty confident about which code scanner you should choose. If you have anything that you want me to add to this article, or want to leave your review of some of the scanners mentioned in this article, comment down below and I will answer your questions as fast as possible.